Hi loves! Hope you all had a wonderful weekend! 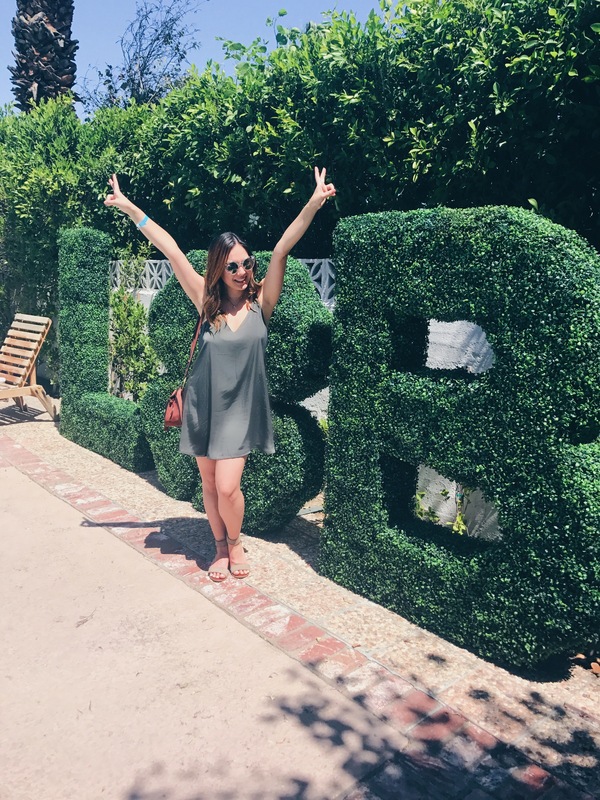 Was anyone at Coachella this weekend?? I didn’t attend the festival but I did drive down to Palm Springs on Saturday to attend a couple of parties! 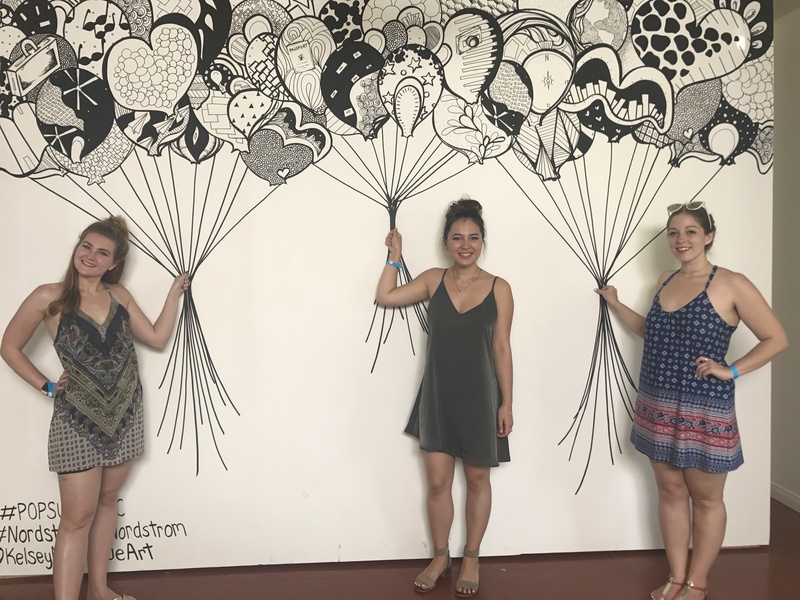 I had so much fun at both parties so I just wanted to share with you guys some behind the scenes pics! 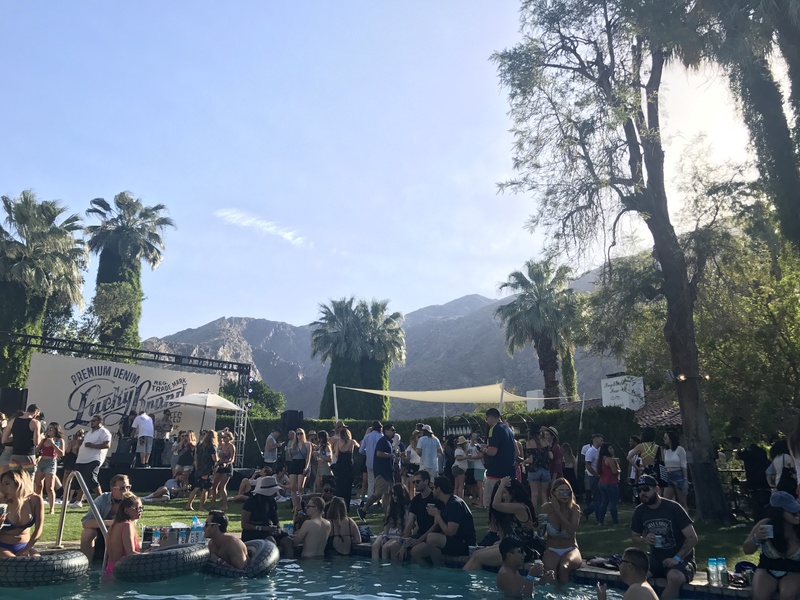 The first party we went to was Lucky Brand’s Desert Jam. Shoutout to HomeAway for sending me to this party! I had such a blast! The party took place at the Ingleside Inn in Palm Springs. They had a DJ and different booths set up. 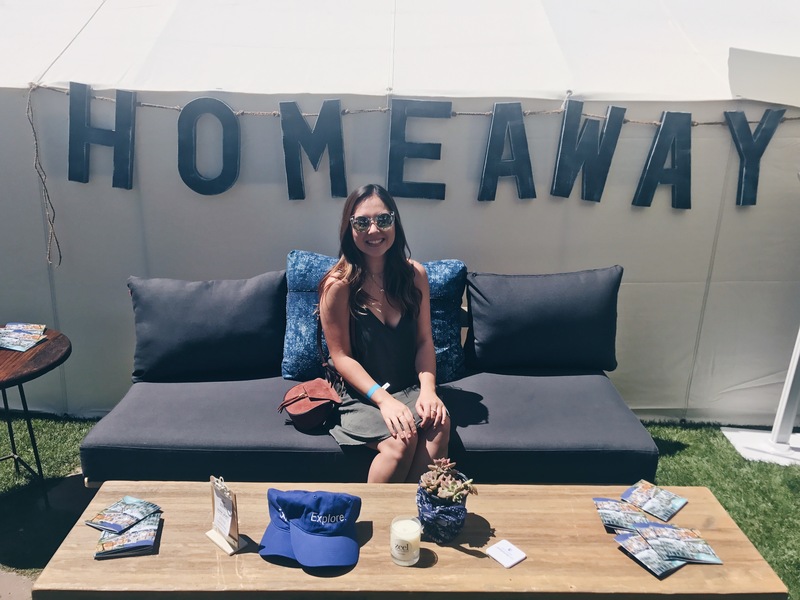 HomeAway set up a tent where you can get massages from Zeel and manicures. I got a quick 5 minute massage, which was perfect after sitting in the car all morning! Another favorite of mine at the party was the hair station they had with Splat Hair Dye. They were doing fun festival hair and dying our hair with a temporary dye. 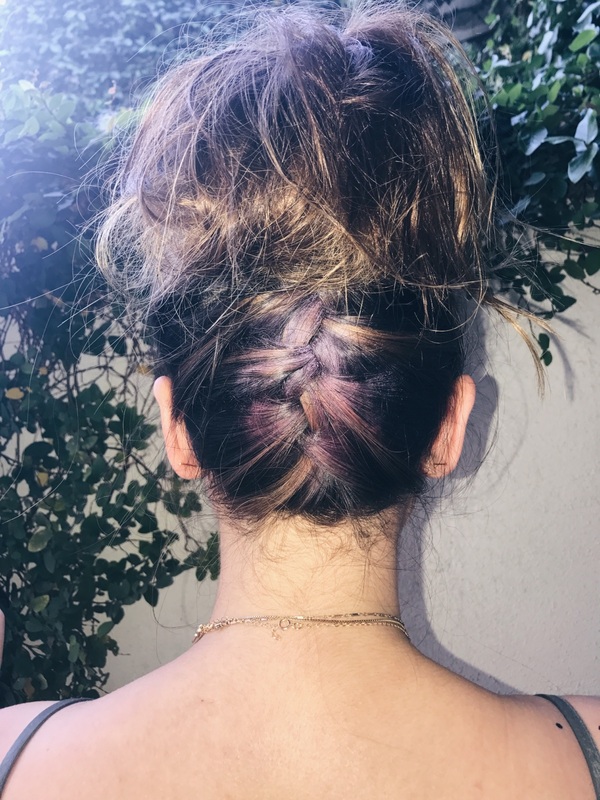 The dye is so cool, it looks like an eye shadow and you use a sponge to put it on your hair and it lasts all day and washes out in the shower! So fun! After we got our hair done, my friends and I decided to stop by the PopSugar Cabana Club. Luckily this was at another hotel just down the street. The PopSugar party with bumping when we got there. They had a bunch of fun stations set up like a candy bar with Sugarfina, and a create your own Must Have Box. Ulta Beauty was also sponsoring a beauty bar where you could get your hair done and pick out some makeup. By the time we got to the party this room was pretty much emptied out. 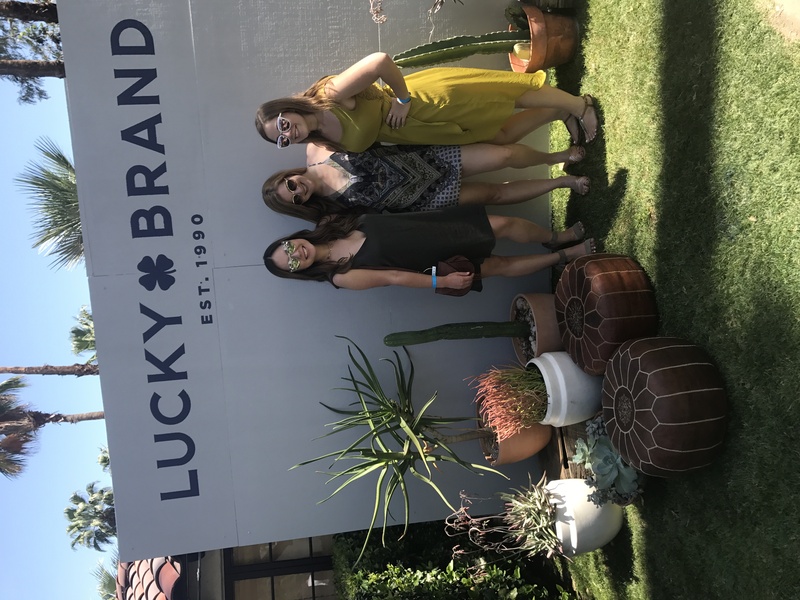 After the PopSugar party, we popped back to the Lucky Brand party and hung out by the pool for a little bit before heading back home! Going to Palm Springs this weekend was so fun! Next year I think I’m going to try to get tickets to Coachella and go for the whole weekend! 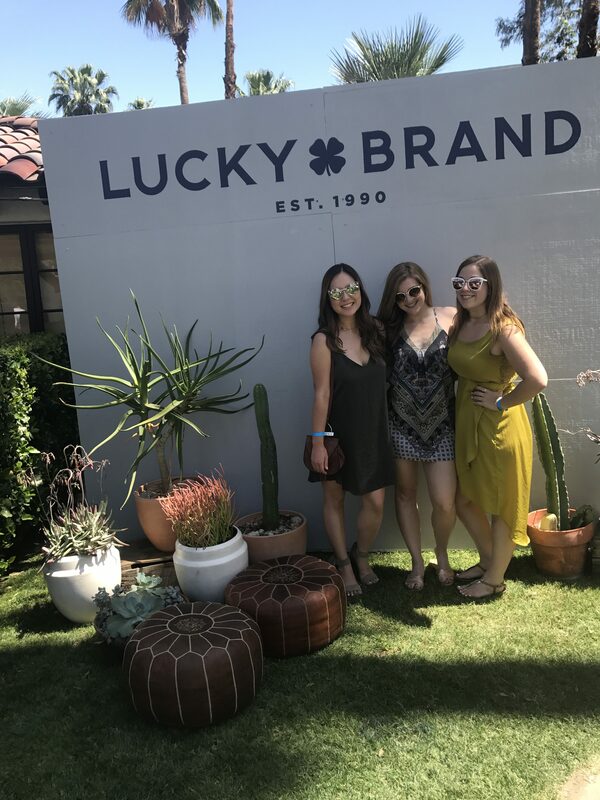 Thank you to Lucky Brand, HomeAway and PopSugar for having us this weekend!